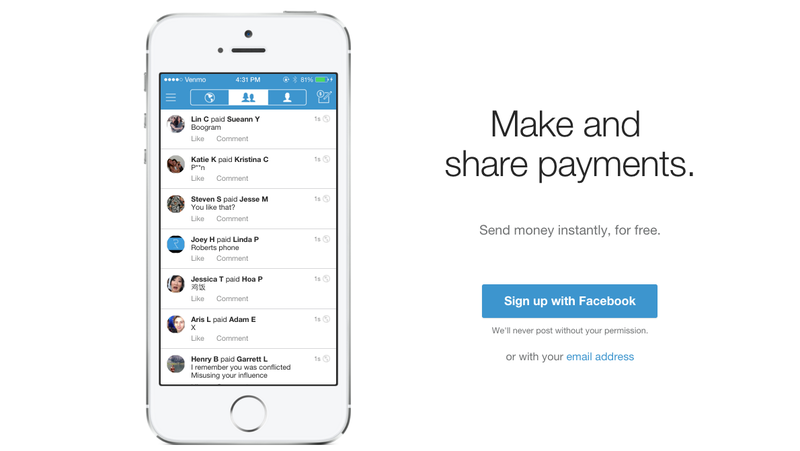 Though PayPal has owned payment service Venmo since 2013, until now it’s sort of just allowed it to do its thing, which is transferring money between people using a mobile app. Now, in a bid to get some money out of Venmo, the payments giant will soon allow merchants to accept it as a form of payment anywhere that PayPal is already taken. Venmo users link their debit or credit cards to their accounts, and can then send friends and family money or charge people who owe them. Got your friend’s dinner bill last night because she didn’t have cash? Send her an emoji of a pizza and get paid back. Using Venmo at accepted merchants won’t mean any fee changes for Venmo users — sending money will still be free, unless you’re drawing funds from a credit card — but merchants will have to pay the same transaction fees that they do for accepting PayPal transactions, reports Fortune. PayPal charges merchants 2.9% on transaction, plus an extra $0.30.